Puppy Training Now or Later? Recently I had the privilege of training with a wonderful woman, her daughter, and a precious pup (Shepherd, Husky, Poodle, and Cocker Spaniel mix--mom was Cockapoo, dad was Shepherd/Husky). 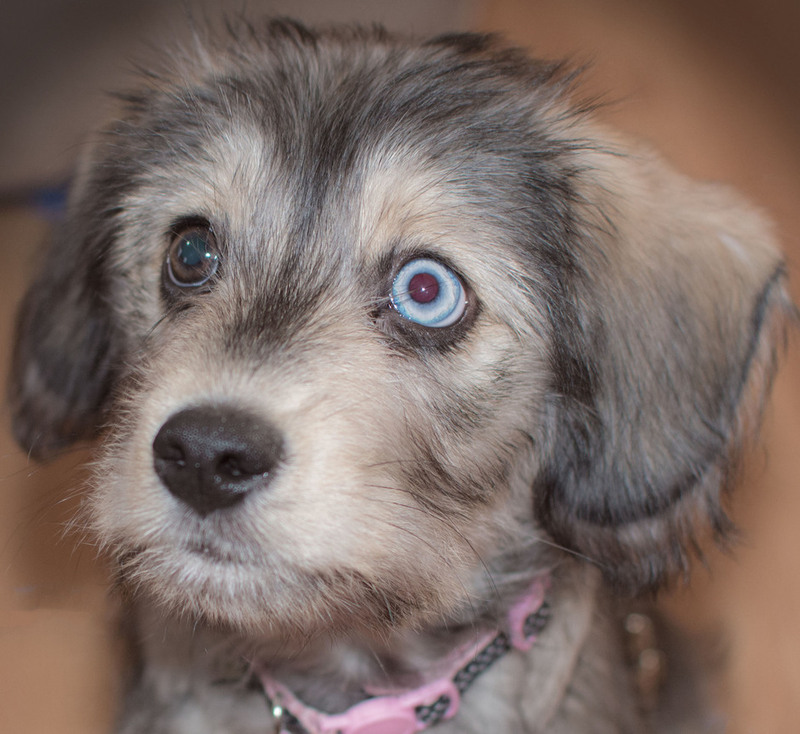 This pup was really more of a rescue, even though they paid for her. The pups from this particular litter were being sold at just four weeks of age. I later learned the mother of these pups was very young and died five weeks after giving birth to her first litter. The mom was also a rescue and the lady taking her in did not realize she was pregnant at the time. Long story short, the new owners of this precious little girl puppy brought her to my home for training. They had called and asked when to begin training and that they wanted to train her to be a therapy dog. They loved her, but were beside themselves with her horrible behaviors. When a pup is taken from the mother too young they often suffer with detachment syndrome and can have extreme behavioral issues. The first time I trained with this precious pup at just six weeks, she was very fearful, out of control, and extremely vicious and aggressive. She would throw a biting, scratching, fit and had to be pinned down and told to settle. In just one session we broke through a lot of her fears and began to tackle her aggression. By the fourth training session she was a different pup... mostly housetrained, nearly crate trained, more loving than aggressive, and had learned the basic obedience commands (come, sit, down) and even learned a few tricks (roll over, sit pretty, and crawl). After our 4th training session, however the new owner realized with her daughter going away to college, and starting her third assisted living home, that she didn't really have the time for a puppy, nor the training and care that would go along with it. She explained that she would need to find her a good home. At this time, a dog I had rescued a year earlier was going to a new home to be a service dog and it was a very bittersweet time in my life. But it opened the door for me to adopt this precious pup. The owner was so elated and relieved. "I wanted you to have her more than anyone," she said. "You are so loving, patient and kind. And I know she would have a good home with you." I felt the same about her and I told her that I would love for her to use the pup in her assisted living homes once she's trained. I got "Angel Eyes" the week before Christmas. She is the best Christmas present I could ever ask for. She has brought so much love, cuddles, and joy to our home. She's already been on two pet therapy visits. She kisses most often instead of biting and doesn't scratch as much. She now knows all the obedience commands (come, sit, down, stay) and walks well on a leash (is learning to heel), is fully housebroken, and crate trained. She was terrified of other pups and dogs in the beginning, but now she engages in play. She still struggles with minor fears, minor fits, and jumping, but she is only 3 1/2 months old. I told the previous owners, what I will tell you, "it's never too early to begin training, because if you wait until they are older, they are still trainable, but it's going to be a lot harder, their behavior will be out of control, and it will cost more money. So why put yourself to all that trouble?" Behaviors if left untrained will only get worse. A trained puppy is a safe puppy.